Welcome to this episode of The Augustino Brewing Podcast. We feature various different topics, ranging from beer, to food, to starting a brewery and making it successful. Today we’re talking about sizing up your brew pub, and the considerations and things that you have to think about. This is something that we go through, and have been going through at Augustino Brewing because we want to create the right environment and the right atmosphere for our target audience. It’s not as straightforward a process as you might think from the outside looking in. There’s a lot of major considerations that you have to have, particularly in a case of sizing up and executing a brew pub plan. Some of the major considerations that I see, that we’ll talk about a little bit here, is how the seating, the amount of seats, will impact your in-house beer sales. All things being equal, and provided that you have the right management and right marketing behind your brewery startup, if you have a larger brewery, you’re going to generally attract more people to sit down, or at least you’ll have more capacity for it, versus a smaller facility, which would tend to push fewer beers through your house. It’s something to think about, because the larger you make your restaurant, the larger you’re going to make your in-house brewery if you do not have an off-site production facility, and every square foot costs money. You have to really be concerned about the square footage that you’re using, and that you’re looking at in terms of size in your brew pub. Ideally, you want to be able to get as many people into your brewery as possible without sacrificing first safety, and second comfort for your guests, so you have to keep that in mind, because every square inch, every square foot, every square whatever is essential and costly, and offsets your profitability. You’ll have to also be concerned with distribution. 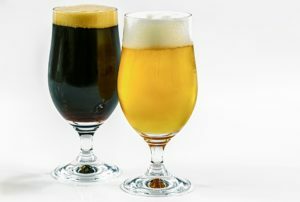 If you are a brew pub that’s planning to enter distribution, to get your kegs even out to other local bars that may want to carry you, you need to consider that because distributors have certain requirements that they have for breweries, and distributors do not tolerate a whole lot in terms of breweries that can’t consistently produce and get them the amount of product that they’re looking to sell in order to make their account with you profitable for them as a distributor. Perhaps the biggest issue that you have to always be on top of as a brew pub owner is labor. Labor concerns are a big problem, not just in terms of people’s salaries, but also in terms of people getting along with one another, and issues, interpersonal and otherwise. How you are planning to serve your customers is really important in terms of determining how many people you need first, and so how many people you need has a direct impact on the amount of labor that you, how large your labor cost is. The larger your labor cost is, the more beer and the more food you’re going to have to sell as a general rule. Really, lastly you’ve got to figure out, well, can you be profitable? If you can’t, then you just need to move on and find something else to do with your time, because many, many brew pubs fail, and some of them fail very quickly. The failure rate is probably going to go up over the next five to 10 years, so we want to be really careful that we are putting the planning up front that’s necessary to be successful. Let’s go back to the seating’s effect on in-house beer sales, because I think that that’s an important consideration when you’re sizing your actual in-house brewery. Currently, some of the thoughts in terms of, at least for breweries that are successful, you can estimate approximately about six to eight barrels per seat per year. If you’re a brewery with 100 seats, Augustino Brewing is looking at a space right now that, it’d be around about 100 seats. We can expect to grow hopefully up to about 800 barrels per year in-house. If we get to that level, we may not have as much space for distribution as we might like to have. On the flip side, though, we’re going to have the opportunity to keep that much more of our sales internal and beers that are sold in our restaurant are sold at a much higher profitability than those beers that we have to sell through distribution. The bigger you make your restaurant, the bigger you need to make your brewery, and the larger your equipment needs to be. As your equipment gets larger, you eventually have to take up more space, more square footage. With each square foot you take up, that’s more expense, so it’s important to have a balance, and then an efficient but still safe, and an efficient but safe brewery will leave more seating space. You also need to think about the impact of a patio, especially if you’re in a warmer climate during the summer. With Augustino Brewing, we’re planning to have a patio that has a capacity to seat maybe 30, 30 to 35 people out there. During the summer months, we expect that we’ll be able to sell even more beer, and so you have to plan for that. That, again, threatens the sales with the distributor. There’s a lot of things that you have to think about. That’s just really scratching the surface, and that kind of carries into the next point of the square footage that we talked about earlier. The more seats, the more square footage that’s taken away by the brewery, and so you have to always think, is this square foot here underneath me doing something productive for my business? If it’s not, then get rid of it. Make sure you get a small enough space that you’re able to maximize profitability. You want to keep your guest areas comfortable, as comfortable as possible so that people stick around, they drink lots of beer, and then they leave big tips for your staff. You want to keep your brewery space as small as possible and your kitchen space as small as possible without risking safety or efficiency. Always keep safety in mind, but you want to keep that space as small and as efficient as possible, so remember you can always expand into a production facility later if you’re successful enough. Don’t overdo the size of the brewery in the brew pub, because you want to really maximize how much you can sell through your restaurant space. As I mentioned a little bit earlier, we want to consider working with distributors as early as possible. If you can’t keep up and deliver what the distributor wants, you’re going to die in distribution. They’ll pull the plug, and your profitability will go down, and bad things will happen. Moving on to labor. The larger your brew pub, and if you’re more of a full-service restaurant, the more employees you’re going to need. You’ve got to consider things like your labor cost, which shouldn’t be more than about a third of your overall costs for your brew pub. You also want to make sure that they are very well trained, that they are very efficient, because labor is the one area that can explode in a big hurry, in a brew pub business plan. You want to make sure that they’re pushing good craft beers and pushing the most profitable products to your customers, and that they’re really, really friendly. At the end of the day, what you need to do is you need to really do a hard look as to, can you be profitable in the space that you’re going to go into? You should plan to be profitable within the first 14 days of the month, if not earlier than that, and you have to, have to, have to look at your financial metrics for your craft beer at least weekly, and adjust promotion or staffing as needed with your general manager to make sure you maintain that profitability, and you hit profitability each month early enough. Thanks a lot for listening, and tune back in for more.